Good news for fans of patiently-thought-out scene compositions and artistically adapted scripts: The Directors Guild Of America—the bookish, quiet middle child to the Oscars’ confident overachiever and the Golden Globes’ chatty younger brother—has announced the nominations for its 2016 Awards. Drawing from films released in 2015, the Guild’s new list counts five movies (and their proud parents) for contention in the Outstanding Directorial Achievement category. Iñárritu’s fellow DGA nomination vet, Ridley Scott, is also in contention, for his science-minded crowd-pleaser The Martian. The two veterans, meanwhile, are joined by the helmers of a couple of quietly well-regarded and politically minded films, in the form of Adam McKay’s The Big Short, and Tom McCarthy’s Spotlight. 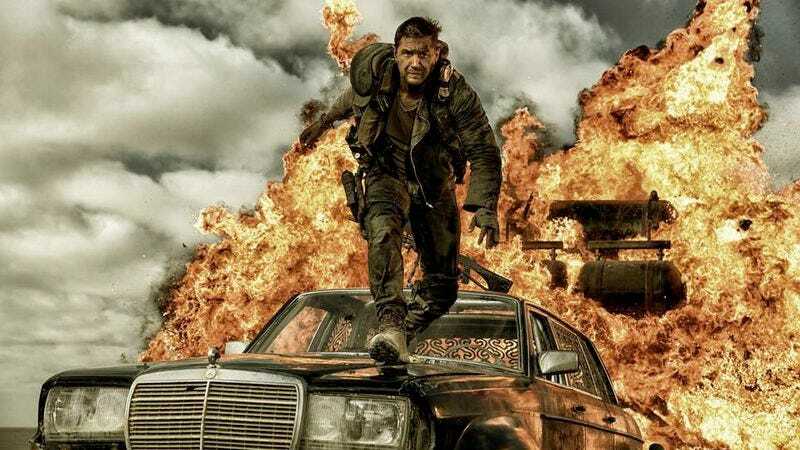 The last nomination on the list comes to another DGA newcomer, albeit one whose directing career stretches back multiple decades: Mad Max: Fury Road’s George Miller, getting recognition for his frankly amazing achievement in turning a woman-led fourth installment of a moribund action franchise into one of the hottest movies of the year. It remains to be seen whether Miller’s rubber-burning, bullet slinging accomplishment will be able to best Iñárritu’s Oscar-buzzing juggernaut. The DGA also released its nominations for a new category, recognizing excellence by directors releasing their first major feature film in 2015. Nominations in the latter category include Alex Garland’s Ex Machina, Marielle Heller’s The Diary Of A Teenage Girl, and Joel Edgerton’s The Gift.